Josh Cox isn’t your average realtor. He simultaneously manages TWO successful careers. When he’s not scoping out dream homes, he is hard at work as a product manager for one of the world’s largest online payment companies – a position that has garnered him multiple awards and accolades. 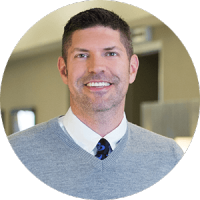 Josh’s passion for real estate and style, together with that great business sense, connects people to properties that are right for them. Whether a seller or buyer, you’ll appreciate his attention to detail and project management experience, as he helps you visualize and achieve your real estate goals. His focus is a quality, stress-free transaction for each of his clients, and chances are good they also end up friends. From Central High School to a Bachelor of Science from the University of Nebraska-Omaha, Josh knows Omaha, and, when he isn’t working you will usually find him at one of the cities hottest spots.